In Pashos HOTEL dominates a family atmosphere and personal attention to the client. The rooms are big and bright for maximum comfort . Enjoy your coffee in the freshness of the green garden, watching your children play happily and safely in the large playground and paddling pool. 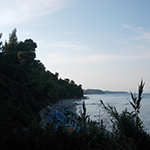 PASHOS HOTEL is located in Kriopigi, just 300 meters away from one of the loveliest beaches with white sand, warm crystal waters and a fully organized beach with beach bar and water sports. The beach is available to you throughout the day. 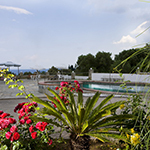 Set in a beautiful, peaceful landscape of Kassandra, the hotel offers a sense of isolation from noise and traffic despite the fact that the hotel is very close to the village center, with strong commercial and social life. © 2019 Pashos Hotel. All Rights Reserved.